Do you only need a heat gun for short period of time? MSW has you covered with Mr. Shrinkwrap's Heat Gun Rental service. Simply put down a security deposit and have your rental shipped directly to you! Our heat gun rental program gives you the chance to try out the tool and the process of shrink wrapping before making the purchase of the heat tool. Get $25 Off of your entire purchase when you rent a heat tool and buy Shrink Wrap! Rent any heat tool at regular price and save $25 on you entire purchase when buy shrink wrap in the same order, discount taken at checkout. With this deal you can now break up your initial costs to start shrink wrapping on your own by getting all of your supplies for your first season and renting a heat tool, then either continuing to rent the tool or buy a brand new one and get your rental fee credited to your purchase. 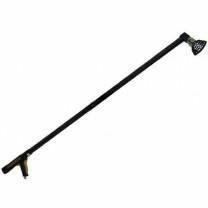 You might even decide to keep the heat tool that your rent from us in which case you will never pay more than the price of a new heat tool, this makes our rental program a true try before you buy offer. See below for more details on the heat tool rent-to-purchase program. We will ship your heat tool(s) to you on the same day your order is placed when it is in by 2pm EST AND the order can be shipped by parcel carrier, truckload orders ship same day when placed before 10am EST. Rental times begin on the day of the rentals' arrival and end on the day that it is posted for shipment back to us. Heat tool orders require deposits and are subject to overage fees and other terms and conditions as detailed in the tool rental pages below. Rent your heat tool today or call us to discuss a multi-tool rental discount for larger shrink wrap projects. Our heat tool rental fleet contains mostly new or top condition heat tools maintained by our trained on-staff personnel. Trust Mr. Shrinkwrap for all of your shrink wrap heat tool needs. 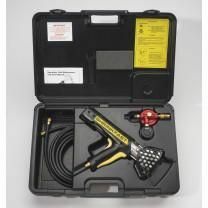 Heat Gun Rental - Shrinkfast 998 - Use for seven days and return to us.